There’s a chill in the air. The days are getting shorter. Holiday plans are being made. 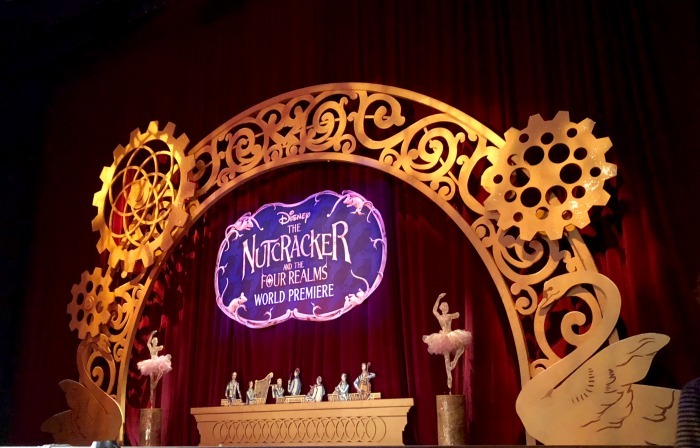 One such plan better be on your calendar – Friday, November 2nd, the day Disney’s The Nutcracker and the Four Realms releases in theatres. Why? 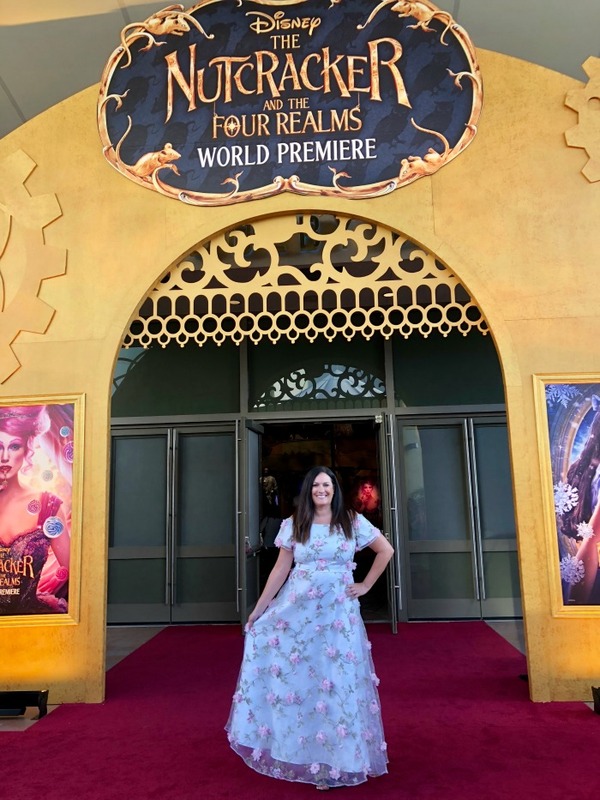 Oh, I’ll share all tomorrow with my no-spoiler movie review, but first let me recap my night at The Nutcracker and the Four Realms red carpet premiere. The venue. The food. The celebrities. There’s nothing quite like a red carpet premiere. Though I’ve walked the red carpet many times, the anticipation of it all still excites me. I guess it’s because I can easily recall watching these kind of events when I was a child and the A-list actors arriving with their families. 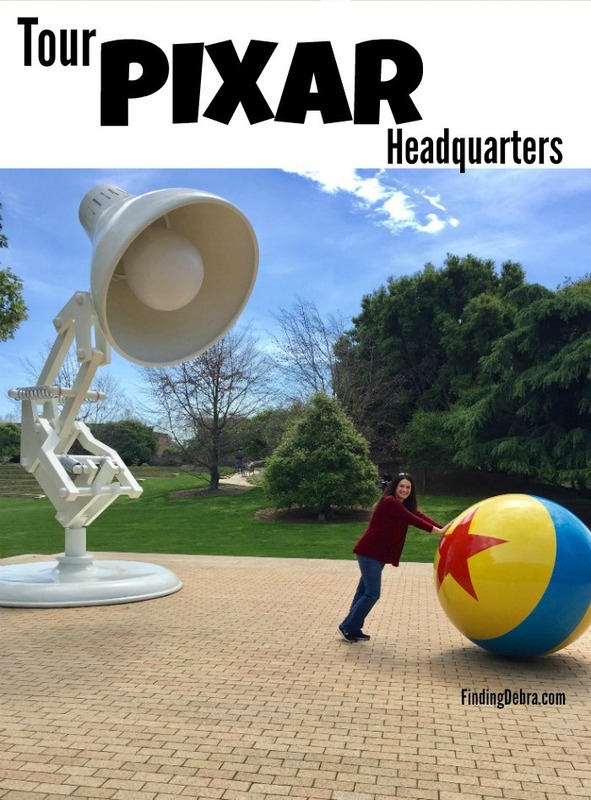 Though I would only catch glimpses and a few soundbites, I knew Hollywood had to be magical. I always hurry off to the store looking for the perfect dress. The just right shoes. The ideal clutch. Earlier this year I had found a galaxy inspired dress for the Star Wars SOLO premiere. There was the time I was inspired by the character Sadness for the INSIDE OUT red carpet premiere. 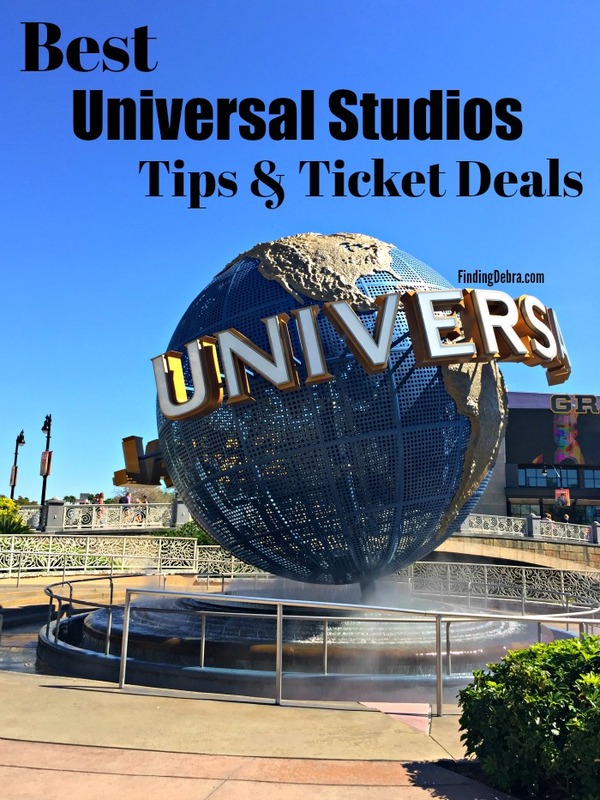 Whether it’s inspired by the movie, a character, or even the rich colors like with the COCO premiere, you can bet I have put some thought behind the dress. This red carpet was no exception. 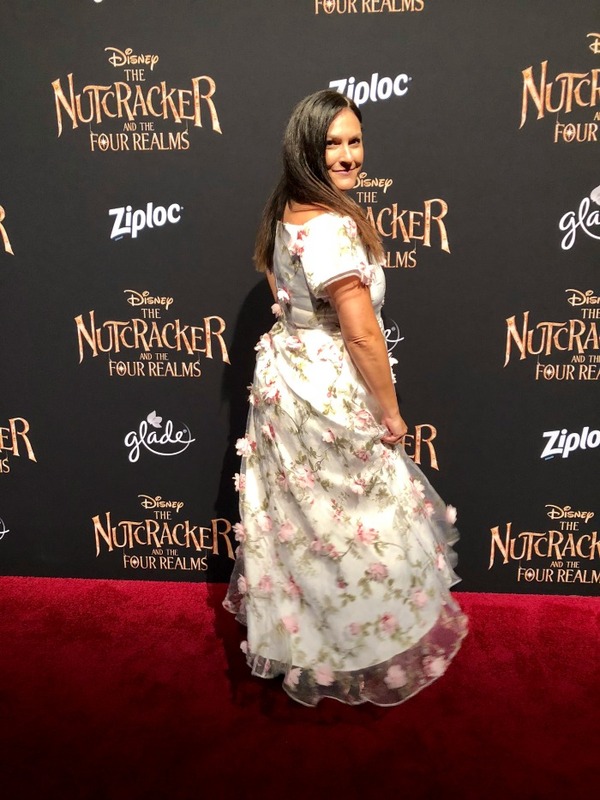 Disney’s The Nutcracker and the Four Realms was most definitely the inspiration behind my dress choice. There are four realms in this story based upon the book (not the ballet), one of which is the Land of Flowers, my inspiration for the dress. My dress, a white off the shoulder gown, featured light pink flowers that were attached yet came out of the gown for a 3-D effect. Truth be told I did have a back up dress. Why? 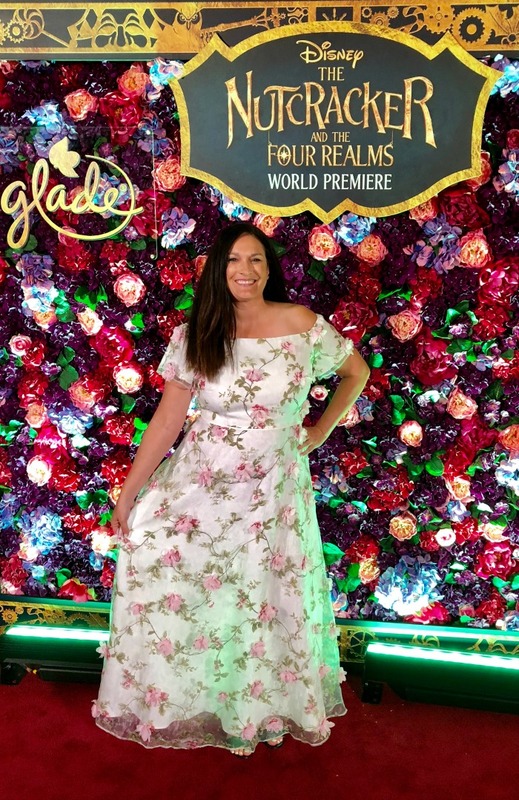 Well, I was coming to the premiere directly from Kauai and wanted to be doubly sure I had a dress that fit (if you have ever eaten in Kauai, you’ll understand – fresh seafood and Hawaiian shave ice). The dress was a big hit on premiere night. I wasn’t sure I would ever have another event I could wear it to, but I received so many compliments from strangers at the premiere that I must wear it again. Somewhere. Sometime. 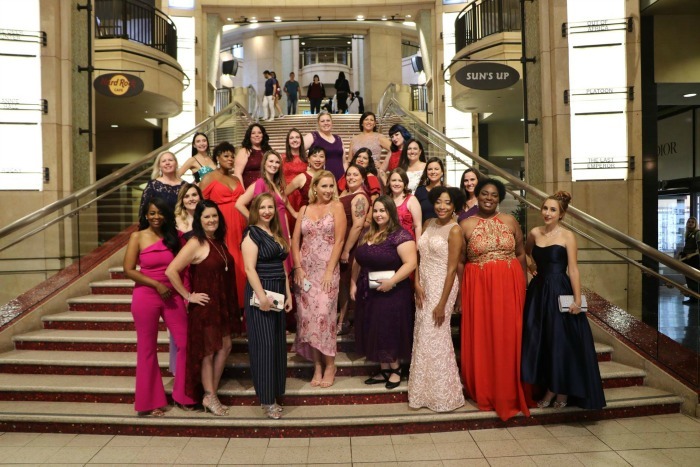 Along with 24 bloggers, I headed to Hollywood Boulevard and stood on the famous Oscar stairs for our first of many photographs of the evening. It’s a tradition. We then made our way up one staircase and escalator after another, as this red carpet (which was truly RED), wasn’t the norm. Hollywood Boulevard wasn’t shut down. Tourists weren’t able to watch the celebrity arrivals and carpet interviews. The premiere was more of a private affair, but one with plenty of glitz and glam. 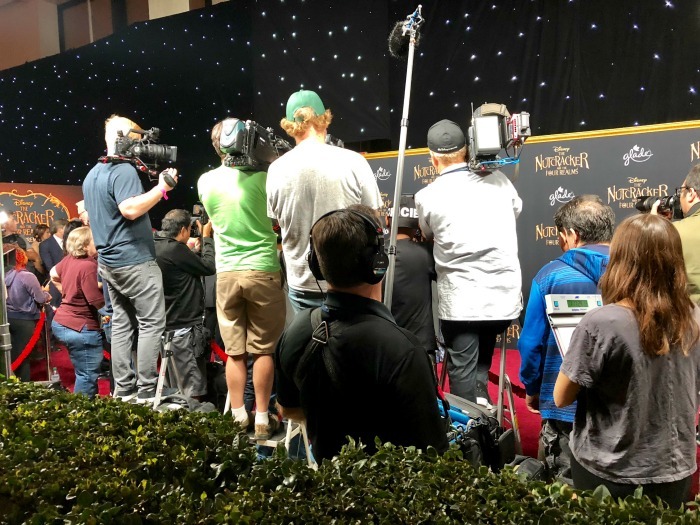 Another difference – we entered through a different door than the actors and their families, which meant we actually didn’t walk but a few feet of the red carpet. The inside of The Nutcracker and the Four Realms Red Carpet Premiere did not disappoint. 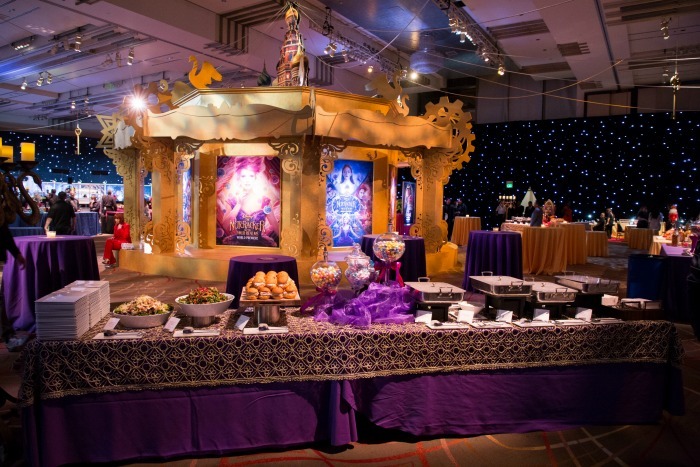 Filled with majestic colors like purple and gold, the room was fabulously decorated at every turn. The backdrop seemed as if it was a galaxy of stars. Costumes from the film were spotlighted just beyond the carpet where celebrities were being photographed and interviews. Yes, these were indeed the costumes worn by the actors during filming. 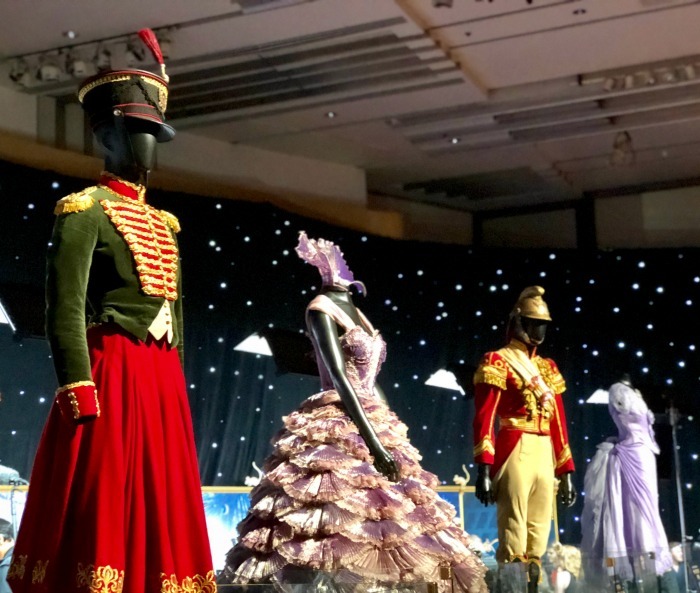 From Helen Mirren’s Mother Ginger costume to the purple gown worn by Keira Knightley in her role as the Sugar Plum Fairy, they were on display for all to see. So intricately designed and sewn. There were stations throughout the room which featured fun activities for adults and kids alike. 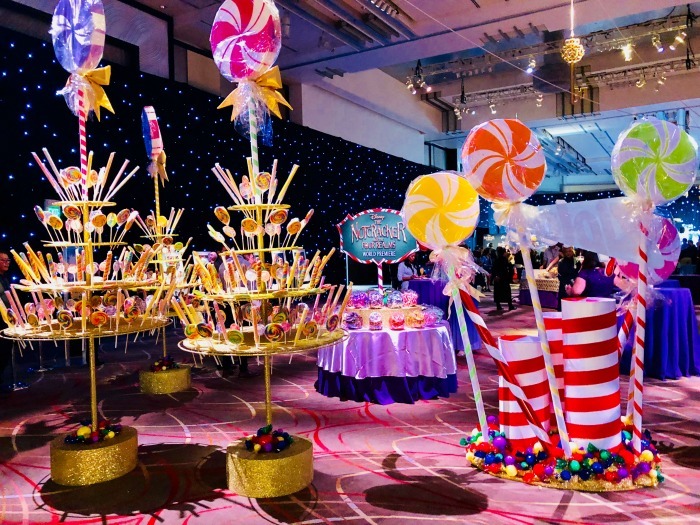 The sweets station (totally based off the Land of Sweets) provided bags and all the candy you could want to fill them up! 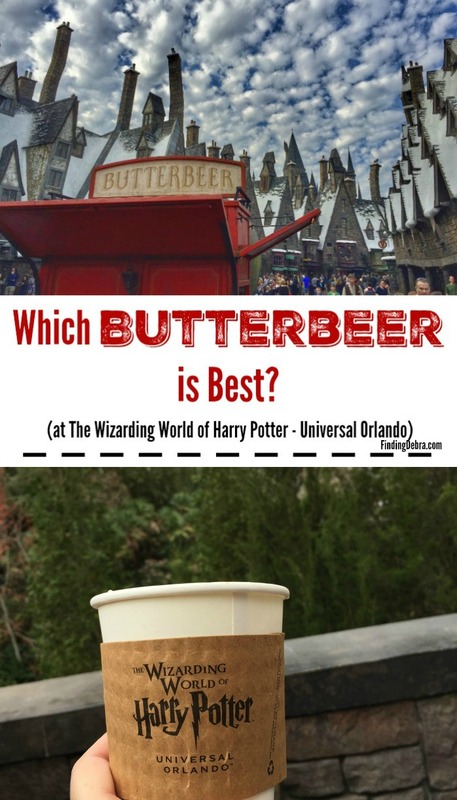 I dare admit that I passed on this activity (what was I thinking?)! There was a special station where hair styling was offered, with styles based on the four realms. Glitter and color were all the rage here with many of my friends opting for Snowflake designs! Another station, hosted by OPI, offered mini manicures. They also sent attendees home with special gift packages full of The Nutcracker and the Four Realm inspired nail polish (you can buy the OPI Nutcracker Collection here). This pre-premiere party would only last an hour or so, but there was plenty of food and drink to go around. Food. Ah, this brings me to a highlight of the evening. I think I’ve seen him at almost every movie premiere I’ve attended. Usually, Mario Lopez has his family with him, and this premiere was no exception as he was adorably accompanied by his daughter. NOTE: I usually take a photo of him from afar, but this night he wasn’t walking as much since he had some sort of boot on his foot (sprained/broken? ), and I asked for a photo when his daughter wasn’t near him requiring his attention. I really don’t like to bug parents when they need to have eyes on their kiddos. Earlier in the evening I opted to grab a few bites to eat. Who appeared in front of me in line? 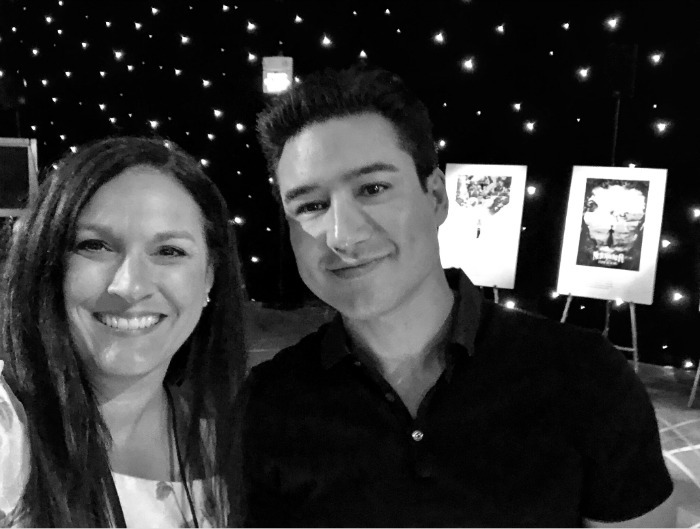 Mario Lopez and his daughter. Who walked over with his bodyguards, peered over my shoulder at the food offerings, and got in line behind me? 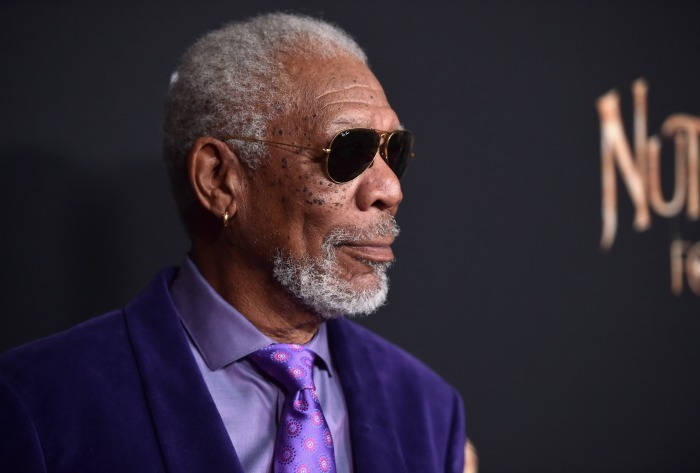 Yes, the Morgan Freeman who was rocking purple with sunglasses on the indoor red carpet and exuded style. The Morgan Freeman who stars as Drosselmeyer in the film. We had a little chat, I adored his recognizable laughter, and I discovered he really didn’t want me to take a photo with him as that would open the door to everyone else asking. I guess that really was the benefit of having an intimate premiere – everywhere I turned I was rubbing elbows with celebrities. Morgan Freeman wasn’t the only star of the film who rocked the red carpet though. Mackenzie Foy, who plays strong-willed Clara in the film, was beautiful in Chanel (we had the opportunity to interview her just hours before the premiere and she gave us the scoop on her red carpet look). Misty Copeland, who shines as the ballerina in The Nutcracker and the Four Realms, stood out on the carpet as well. Keep a lookout for our interview with her, on the blog soon! 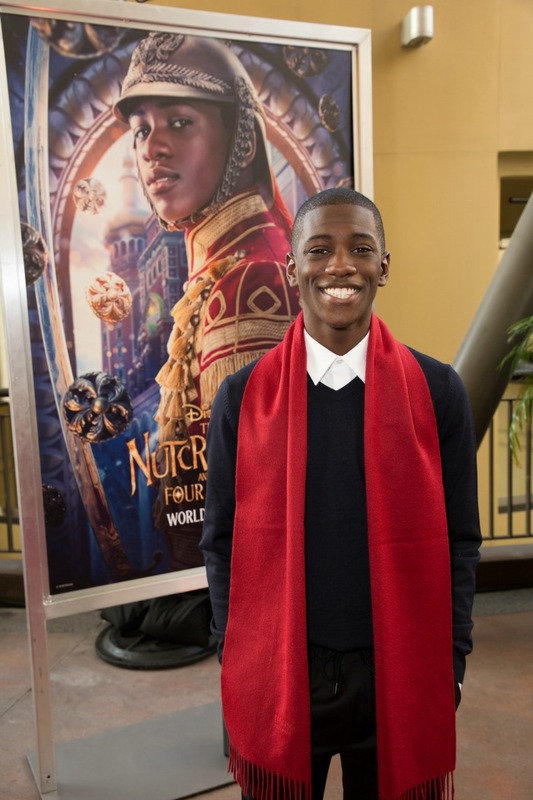 Jayden Fowora-Knight, who plays a soldier in the film, grinned from ear to ear both before and after the premiere. You could tell he was excited to be a part of this. From American Idol power couple Maddie Poppe and Caleb Lee Hutchinson to Seventh Heaven alum Beverley Mitchell and Melissa Joan Hart, the red carpet arrivals were exciting to watch. Not surprisingly, I found celebrities in the oddest places. 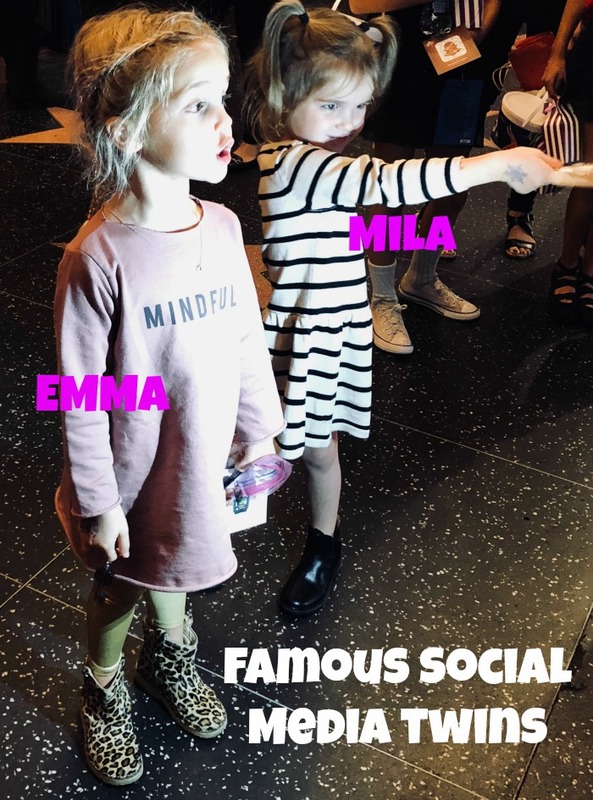 In premiere’s past, I’ve actually bumped into them in the restrooms, but for famous social media twin sisters Mila and Emma Stauffer, I discovered them on the curb waiting to leave. No-Spoiler Review on the blog tomorrow, Friday, November 2nd! What a “sweet” time! Looks like fun was had by all. Yes – very “sweet” indeed! Your dress is so pretty. Everyone looked fabulous on the red carpet. Thank you Yona, that is so sweet! Yes! 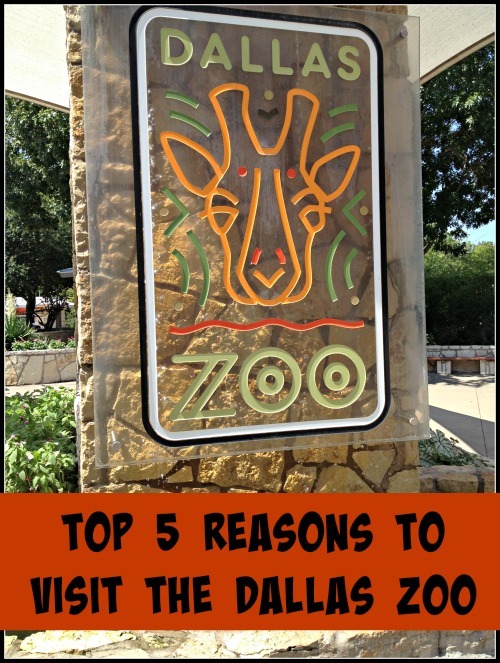 We interviewed two for this movie and then several television actors from ABC shows too! Wow! Looks like you had so much fun. My daughter and I will be watching the movie this weekend! What an AMAZING time! 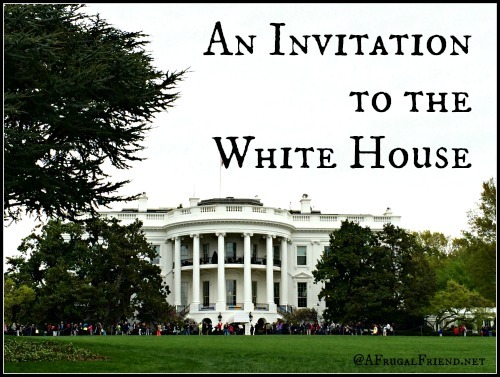 I can only imagine how exciting it would be to be a part of the event. Your dress is GORGEOUS – you should definitely wear it again! Awwww, thank you Sara! You’re the best! What a cool event! 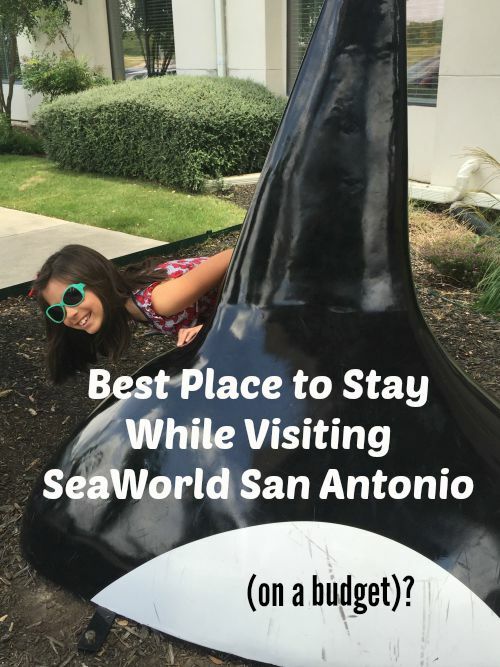 It looks like you all had a terrific time, and will have great memories to share for years to come! What a great event. You look so beautiful. I cant wait to see this movie. Your dress is lovely and looks like the premiere was tons of fun! I am loving your dress, and I cannot wait to see this movie. I like the new take on the traditional tale and hope it turns out magically. This looks like a fun movie for famalies to watch around the holidays. My family is looking forward to seeing this closer to Christmas. Sounds like this would be a great movie for my mom, sister and I to see! I know my dad and my husband wouldn’t want to see and more than welcome us to have a girls night so they dont have to see. This looks like a good movie to take my 4 granddaughters to see. What a wonderful event! I want to see this movie with my daughter! The outfits are so great! My niece would have loved this. Looks so fun. 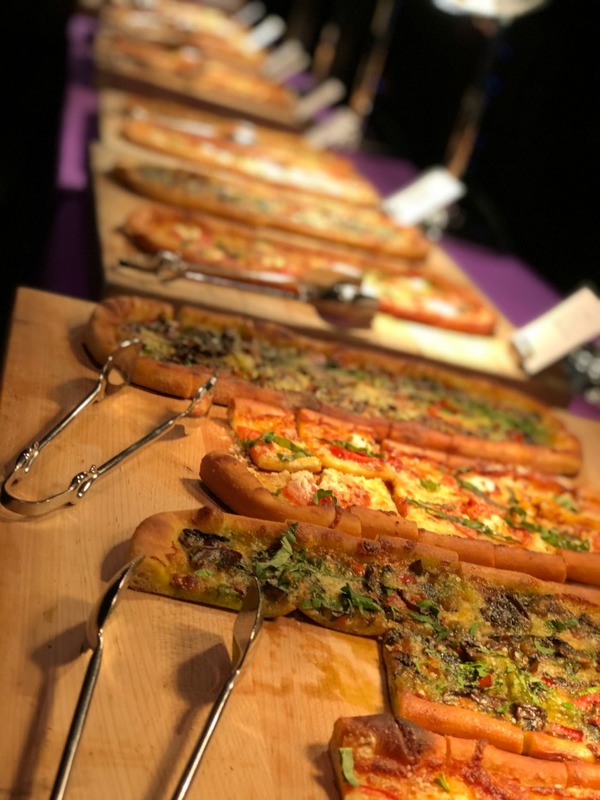 The whole event looked amazing! What a night to remember. That looked like so much fun. I know you consider yourself very lucky. You got to see Morgan Freeman? So jealous… he is one of my favorite actors. Love your dress BTW. You look beautiful in it! 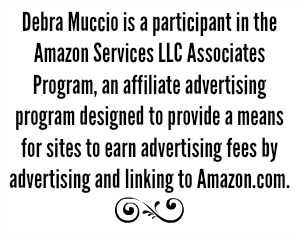 Awww, thank you Sherri! Yes, not only see him but talk to him while he was looking over the dinner options. Surreal for sure! Your dress is gorgeous! Such a wonderful event. I bet you felt like a princess! Thank you Margaret…I really did! What an amazing event! I love your dress! I love your dress! It sounds like you had a spectacular time. Thanks for sharing your experience! How cool is that to attend an event like this! That’s a beautiful dress! What an amazing experience! I have to admit that I am a bit jelly but it looks like you had such a great time. Your dress is very pretty and the food looks so tasty!